Here's a mod that changes the ugly pile of clothes sims pull out of shopping racks. 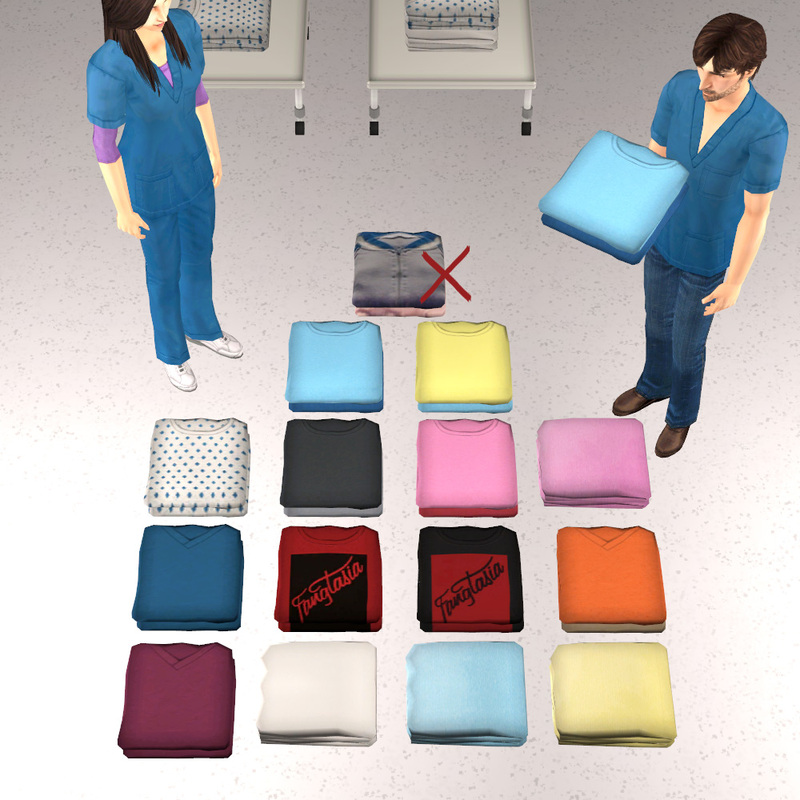 It gives the pile of clothes a new default texture and makes it recolourable. 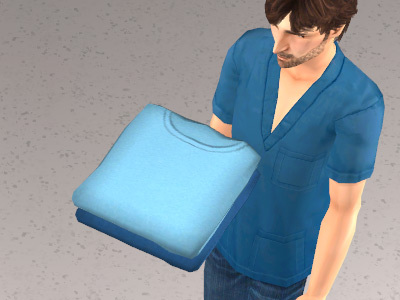 You can recolour it while a sim is holding it, for storytelling purposes. Certain object mods which use this clothes pile (Pescado's Clothing Tool, Merola's Dresser) will also take the new default texture and become recolourable. So now you can happily leave those mods on your lots at all times without having to hide them away. There are a few recolours included here, and you can easily make your own. Just open the "NEW DEFAULT" file in SimPe's Object Workshop and recolour away. Huge Thanks To: Lee for being immensely helpful. I couldn't have made this without her. I'll have to come and get this when I get home. Thank you, @fanseelamb and everyone else involved in its development. Ooh this looks uber helpful. Thank you!